The Unique Identification Authority of India (UIDAI), the issuer of Aadhaar card and Unique Identity Number (UID), has provided several tools on its self-service portal - uidai.gov.in. Aadhaar card - which comes with the 12-digit identification number UID (Unique Identity Number) printed on it - is mandatory for many essential tasks. These include applying for a PAN card (Permanent Account Number) and filing of income tax return (ITR). The UIDAI or Unique Identification Authority of India, the issuer of Aadhaar card, has provided several tools for the general public on its website - uidai.gov.in. One of these tools enables an Aadhaar card bearer to request a change in basic details fed into the Aadhaar database. Aadhaar card holders can request changes to their name, date of birth, gender, address, mobile number and email using the UIDAI's self-service portal through a three-step process. Aadhaar card holders can also check the status of their updation request online. 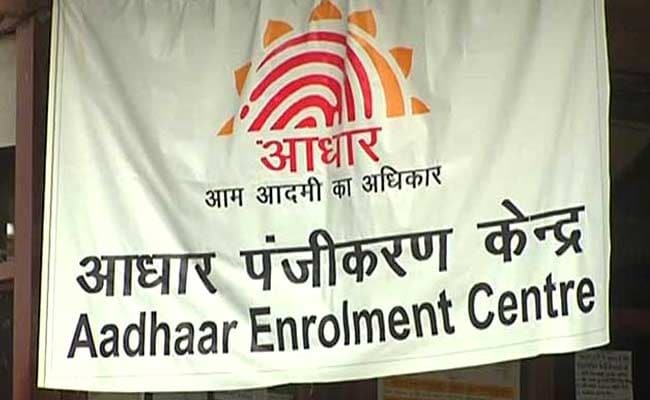 The UIDAI has, however, advised those having request changes to Aadhaar card details to wait for a period of 90 days before enquiring about the status. 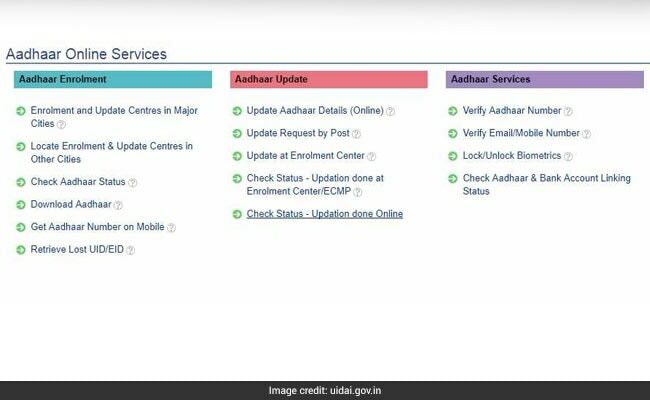 "Any Aadhaar enrolment/update takes up to 90 days for completion," the UIDAI said on microblogging site Twitter. 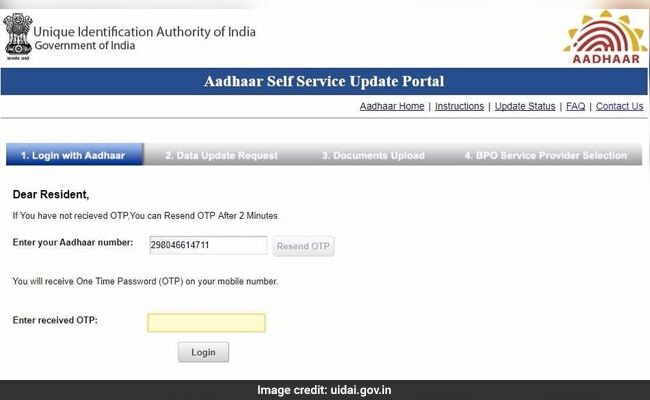 After the period, the UIDAI can be reached on its website, toll-free helpline 1947, email (help@uidai.gov.in) and social media for any queries or complaints, it added. Visit the UIDAI website to find and click on the 'Update Aadhaar Details (Online)' tool. The online tool can also be accessed through a link. Enter your 12-digit Aadhaar number and click on 'Send OTP'. OTP is the one-time password the Aadhaar system sends on a user's registered mobile number. After this, fill in the correct details in the respective fields to request an Aadhaar card update. At this stage, the user can choose from a list of available service providers to proceed. 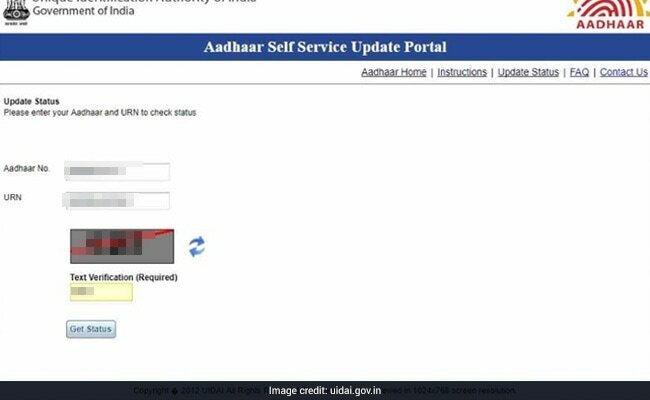 The system also displays the estimated time required to process your request for an Aadhaar card update. 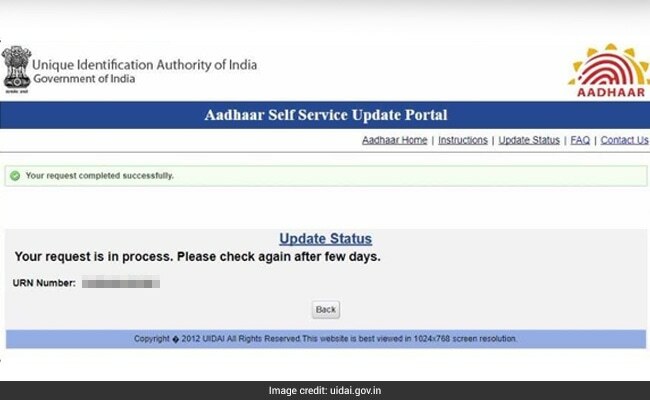 Once on the 'Aadhaar Self-Service Update Portal' page, enter your Aadhaar number, the URN or Update Request Number - issued by the UIDAI portal at the time of submission of updation application and Text Verification code in the specified fields. In case of a request in process, the next page displays the message: "Please check again after few days."